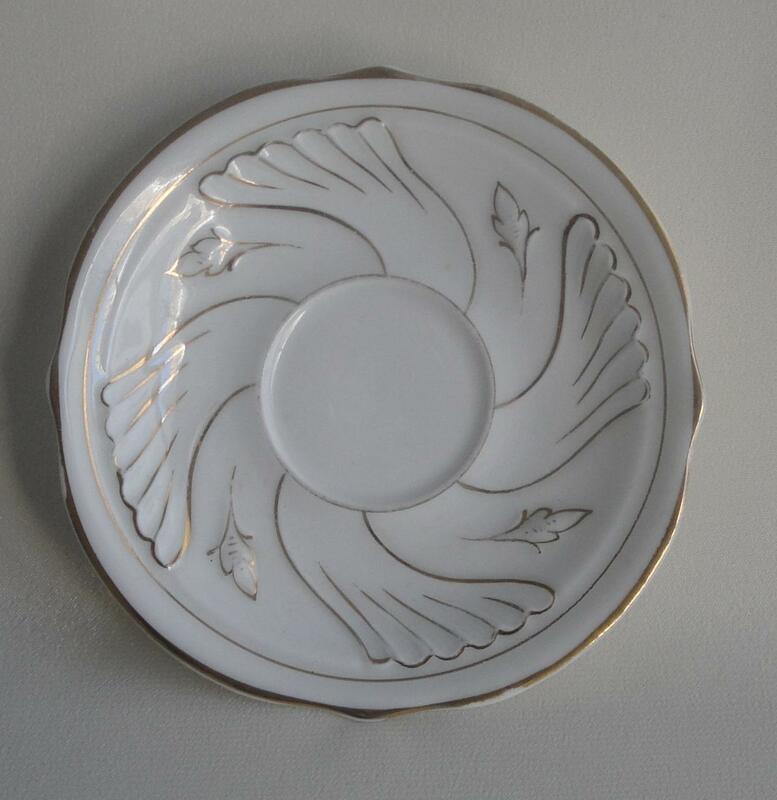 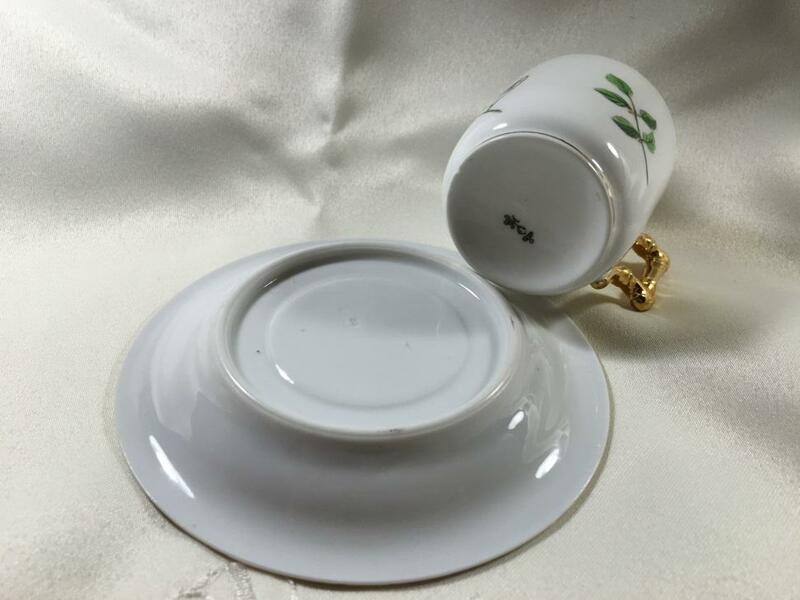 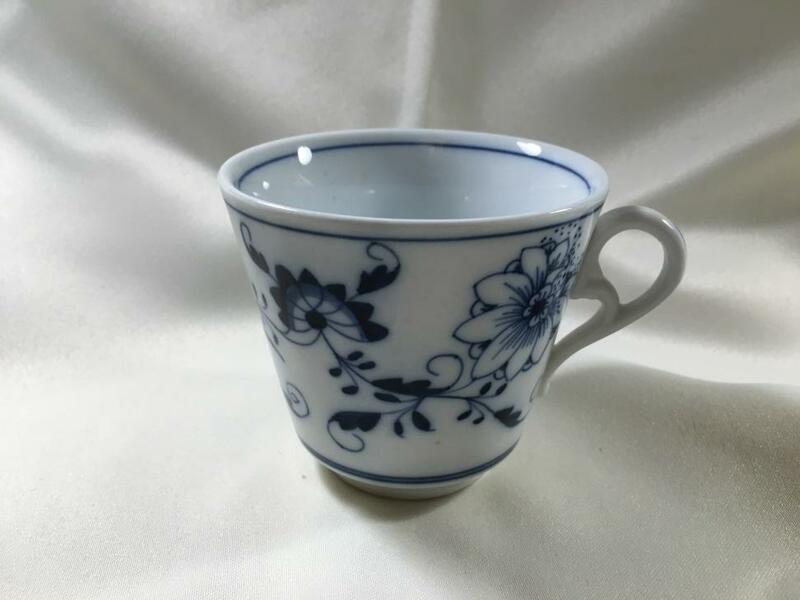 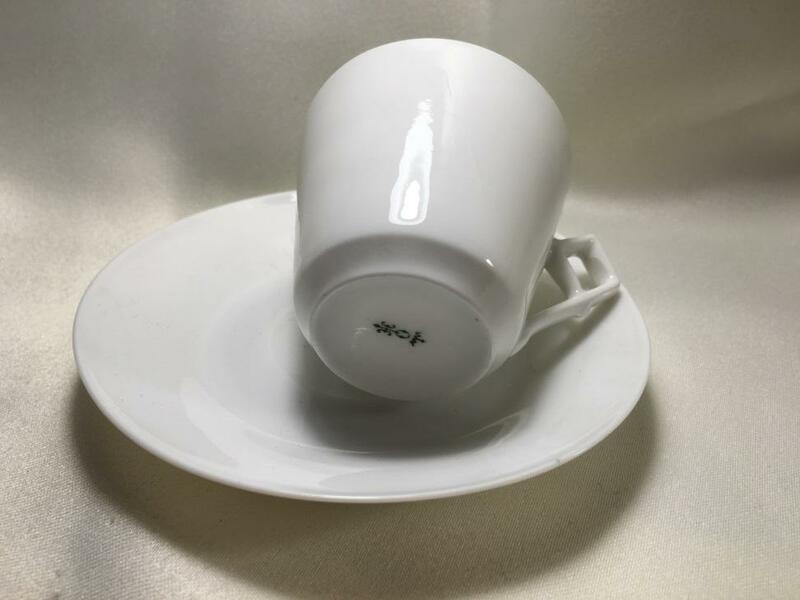 Przemyslaw Piatek, our SOIOP member from Krakow, Poland, specializes in Ohme cups and saucers. 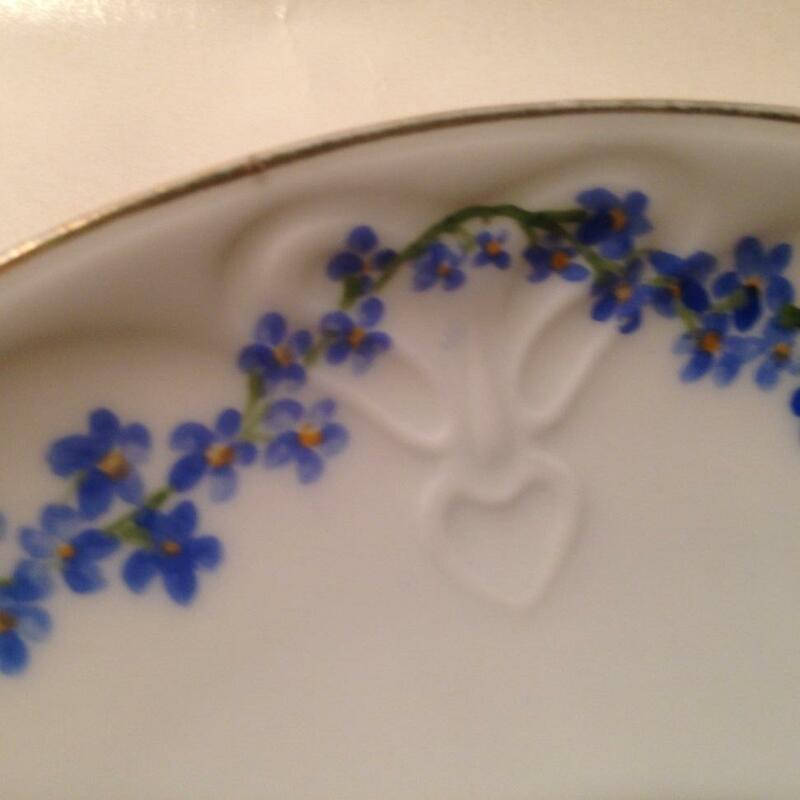 Przemek gave a fascinating presentation at the SOIOP 2016 convention of his exploring Europe for new finds for his collection. 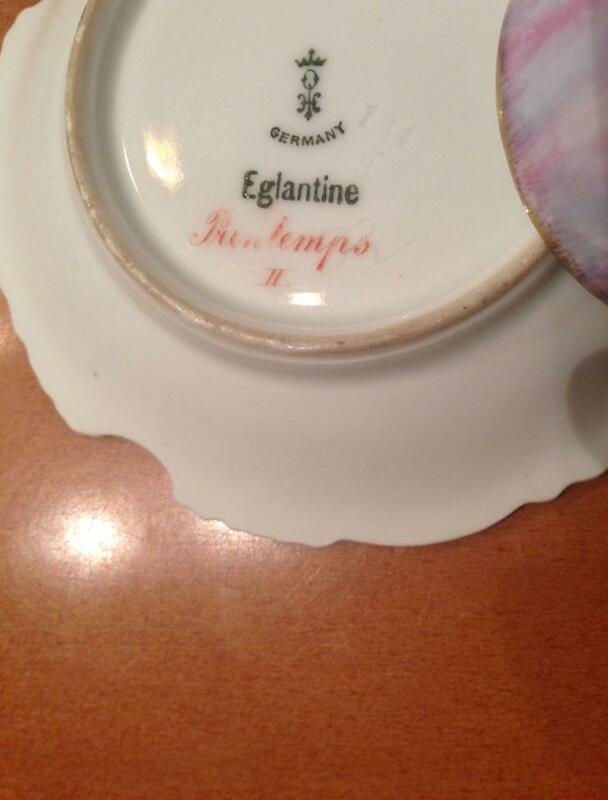 Just one of the entertaining convention sessions! 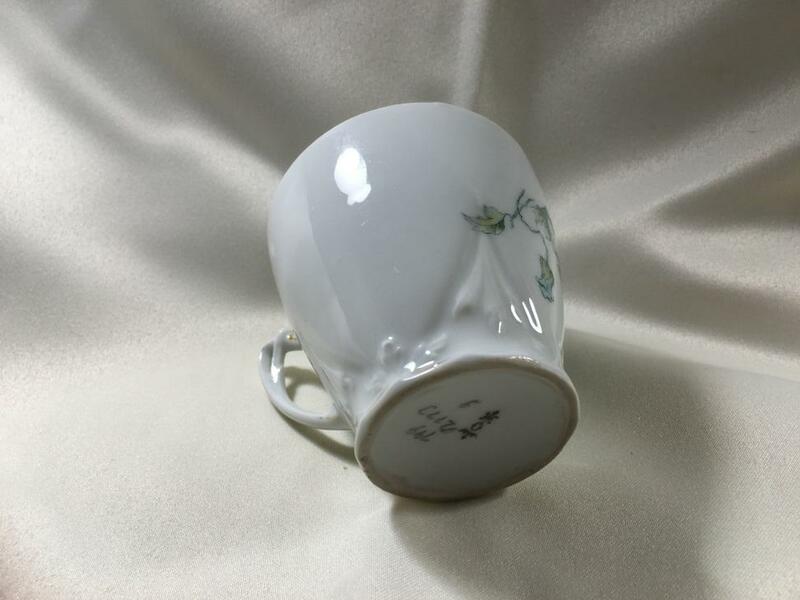 This cup has very unusual curved legs that meet and form a base for the cup. 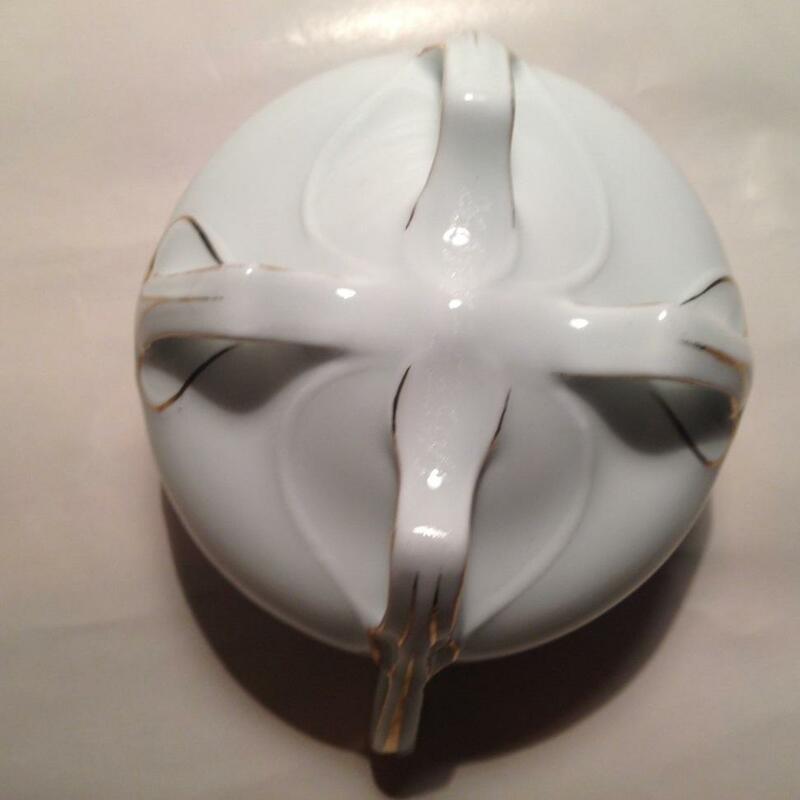 Although not marked, we know from another tea set in this mold that this is an Ohme piece. 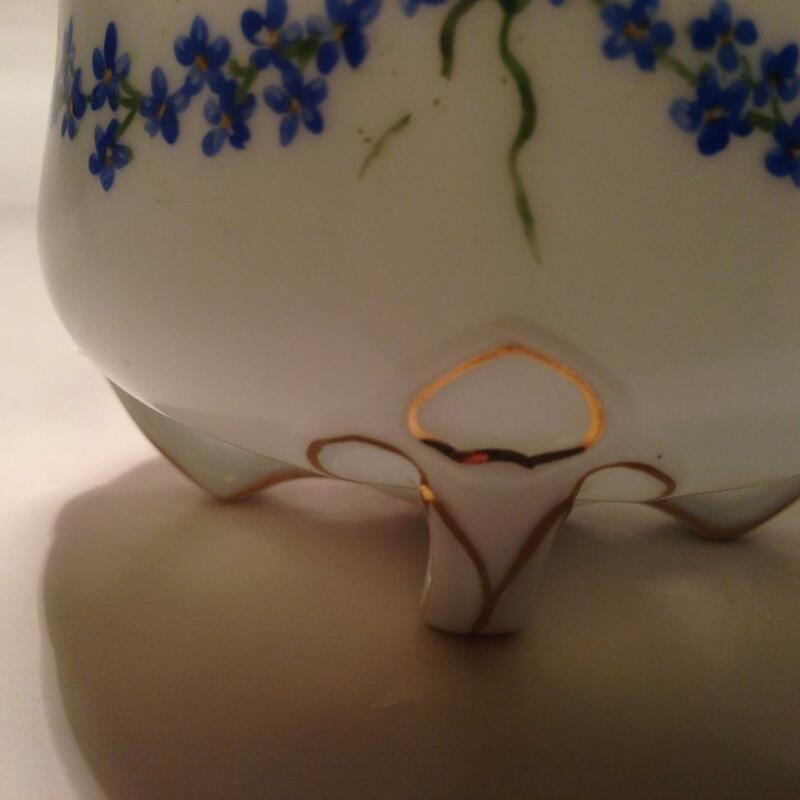 In the tea set the tea pot, creamer, and sugar also had similar curved legs. 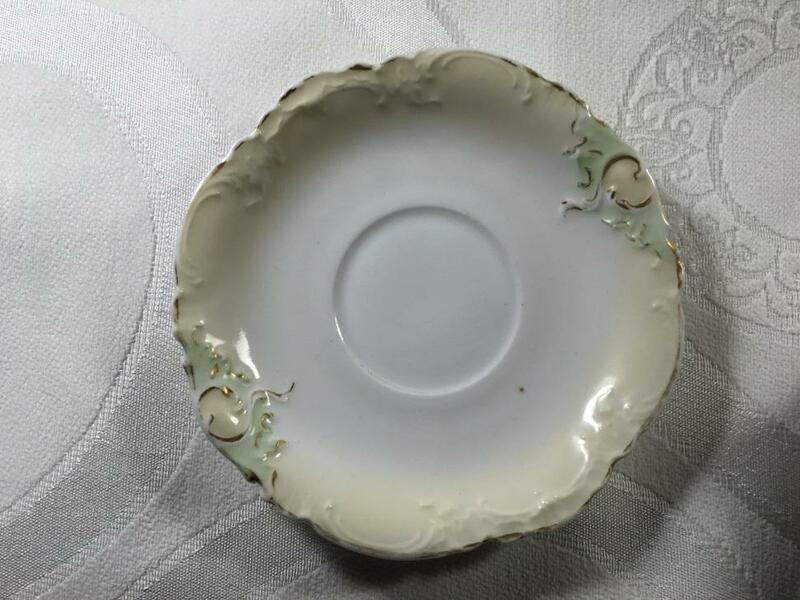 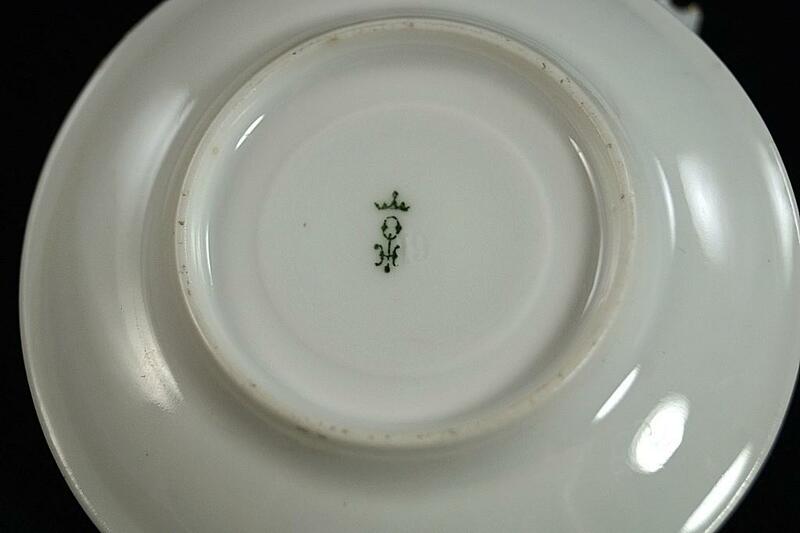 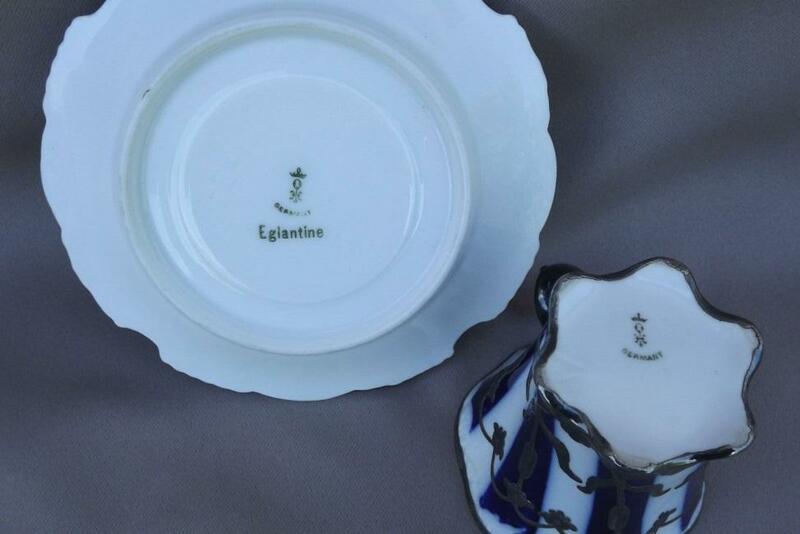 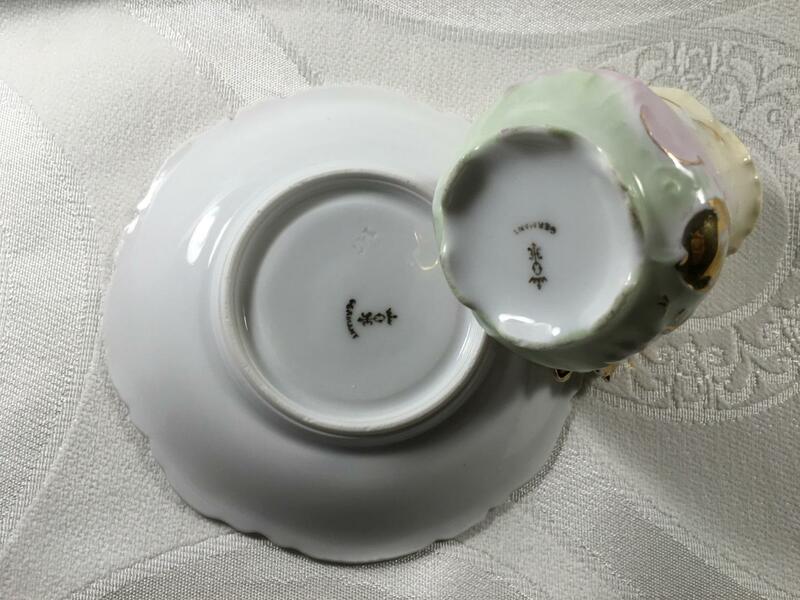 The saucer has "heart" embossments that match those on the cup. 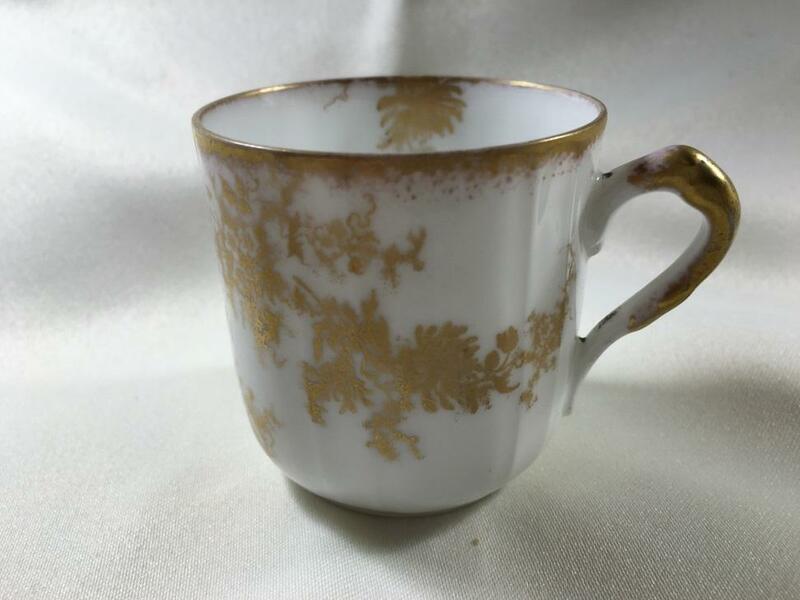 This cup also has a flaring body, but the body is also elegantly embossed. 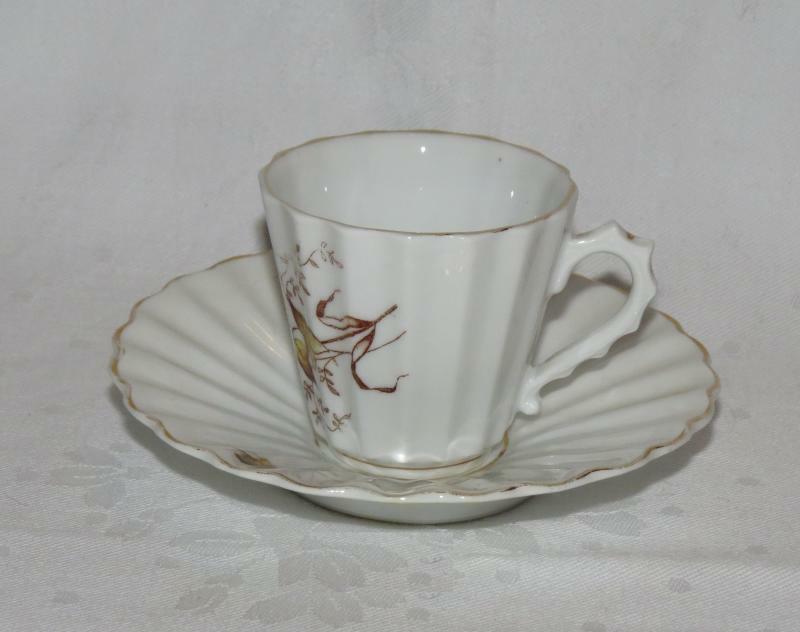 A heavily fluted cup and saucer. 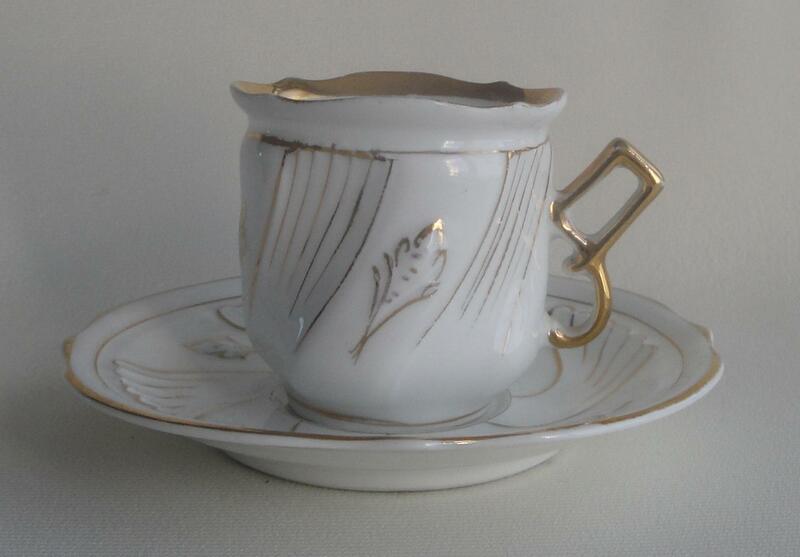 The flutes extend along straight lines and are not "swirled" as they are in the more well known Ohme "L" mold. 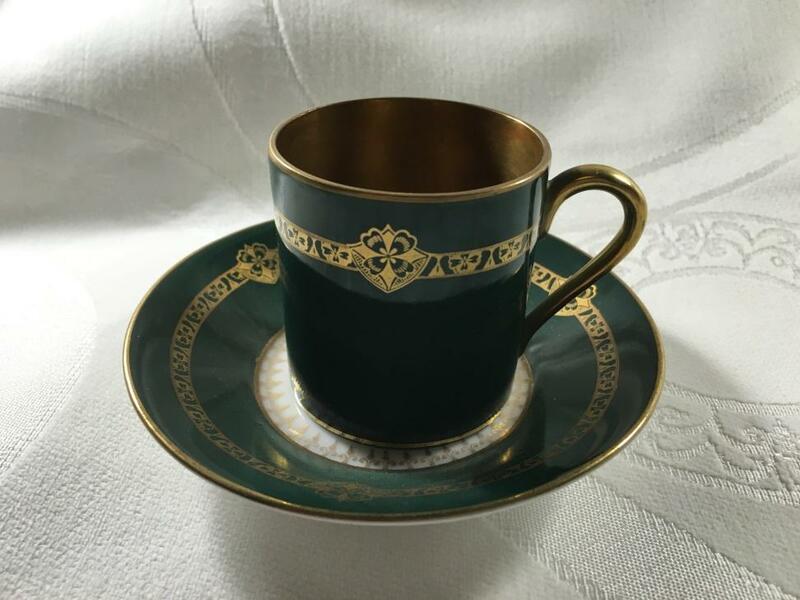 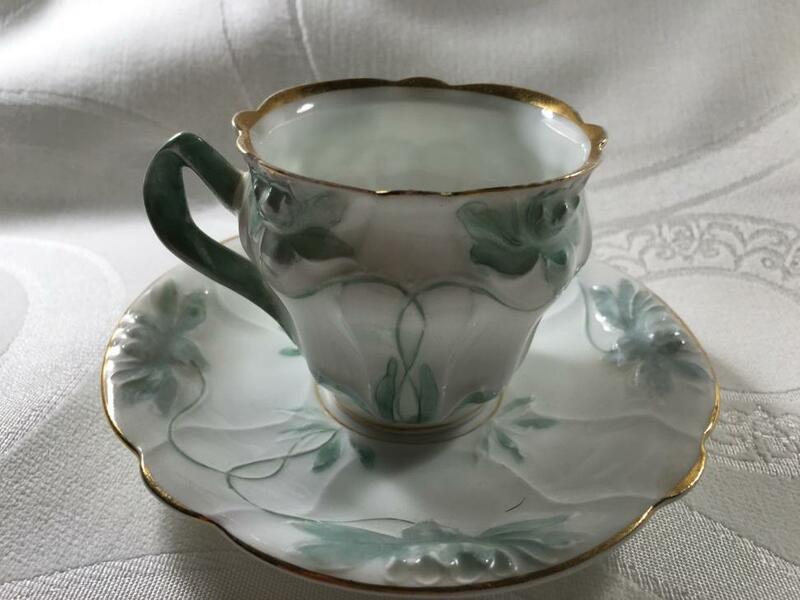 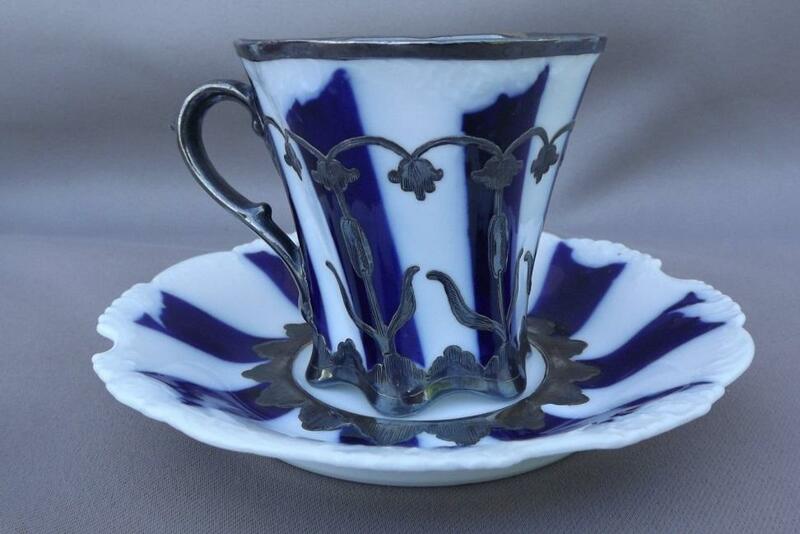 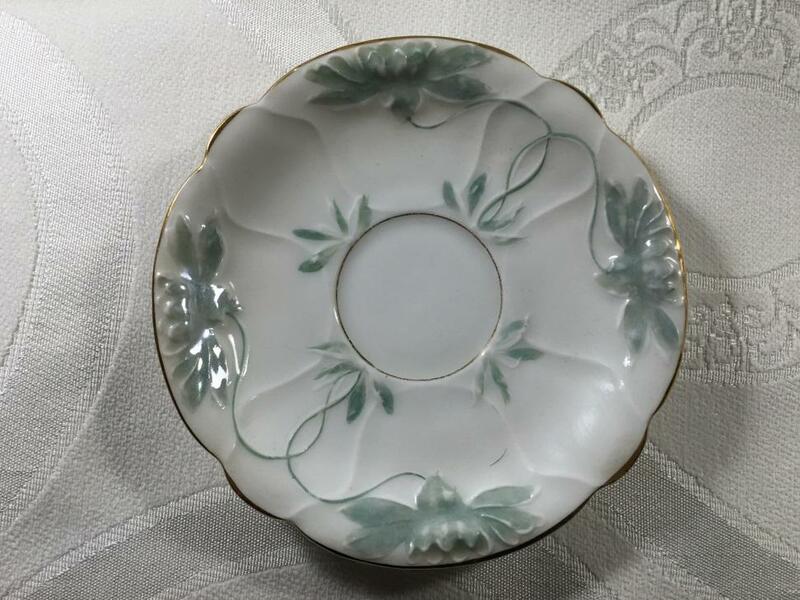 Another fluted cup and saucer with the flutes extending along straight lines-but with a more elegant design. 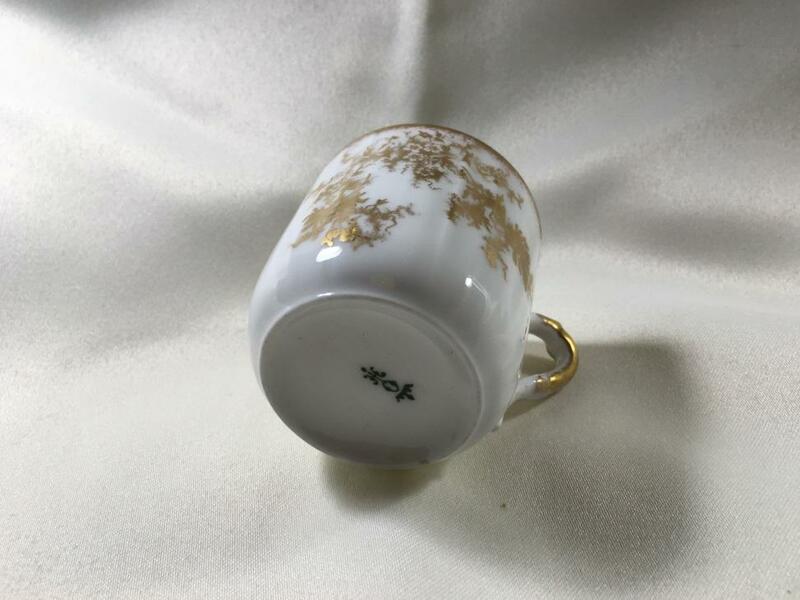 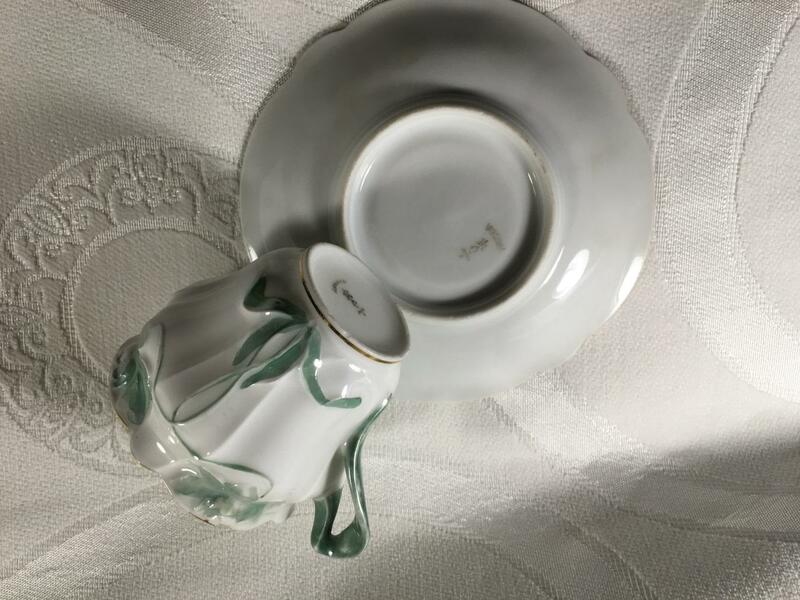 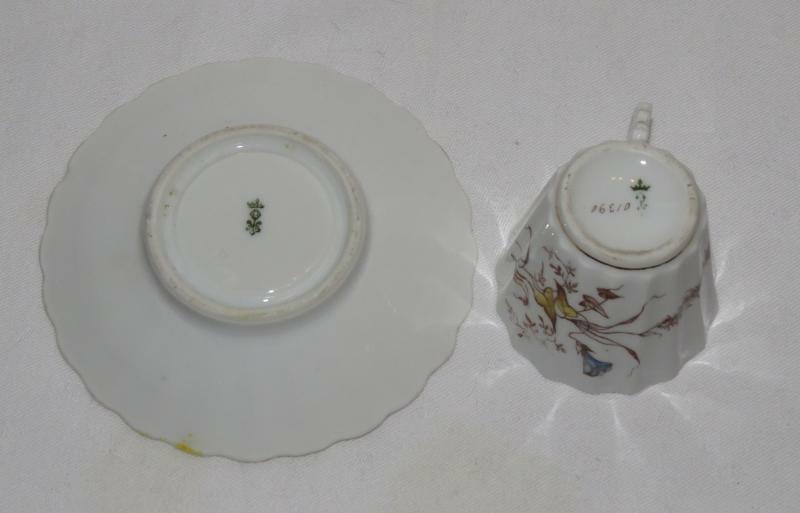 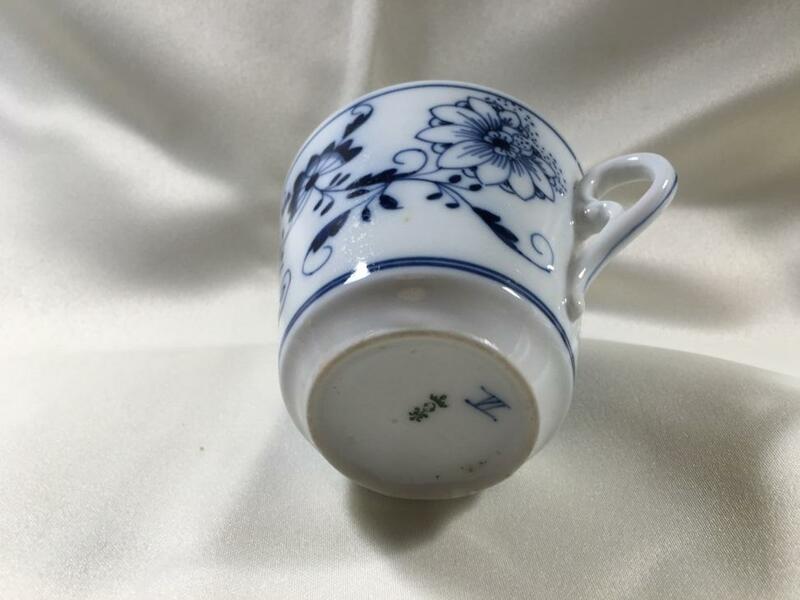 A classically shaped cup with what appears to be a slight flare at the top of the cup and a reduced diameter base at the bottom. 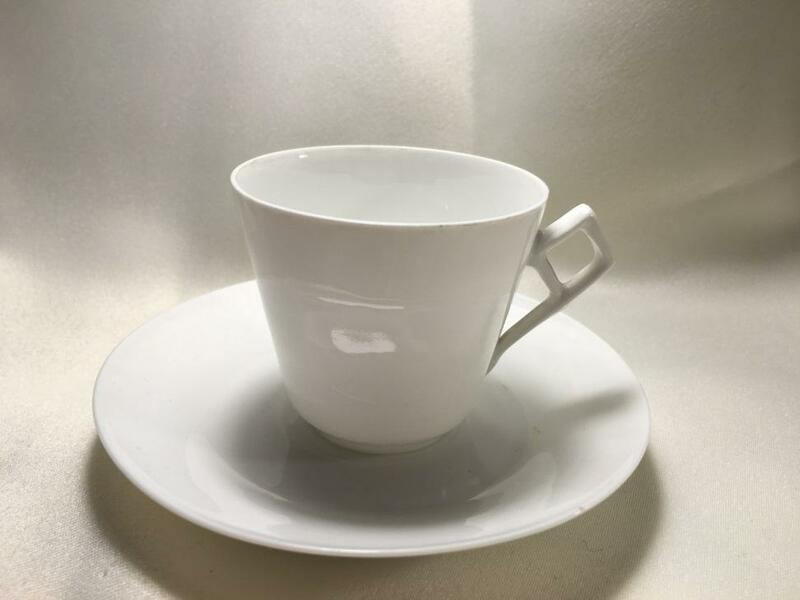 Another clean, flaring cup with a reduced diameter base. 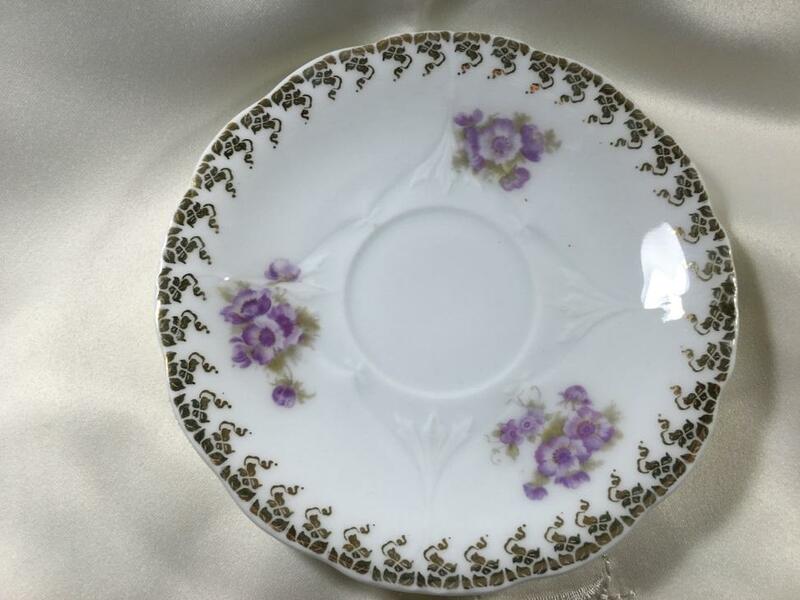 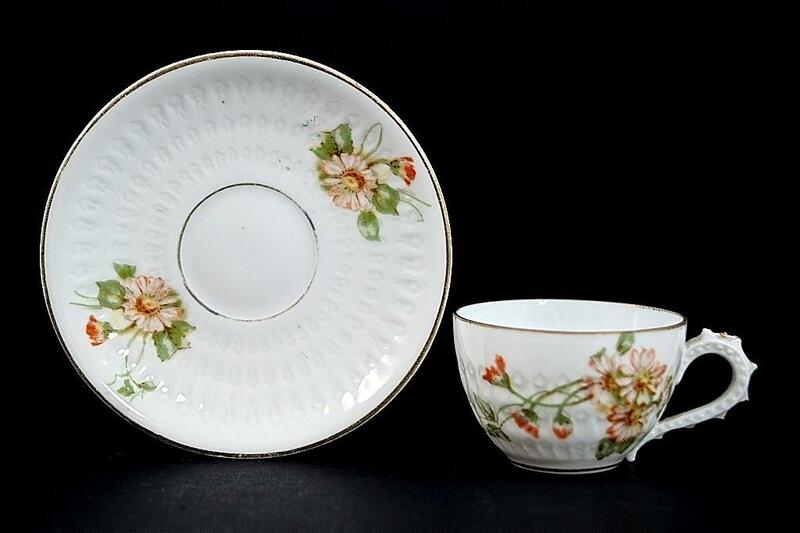 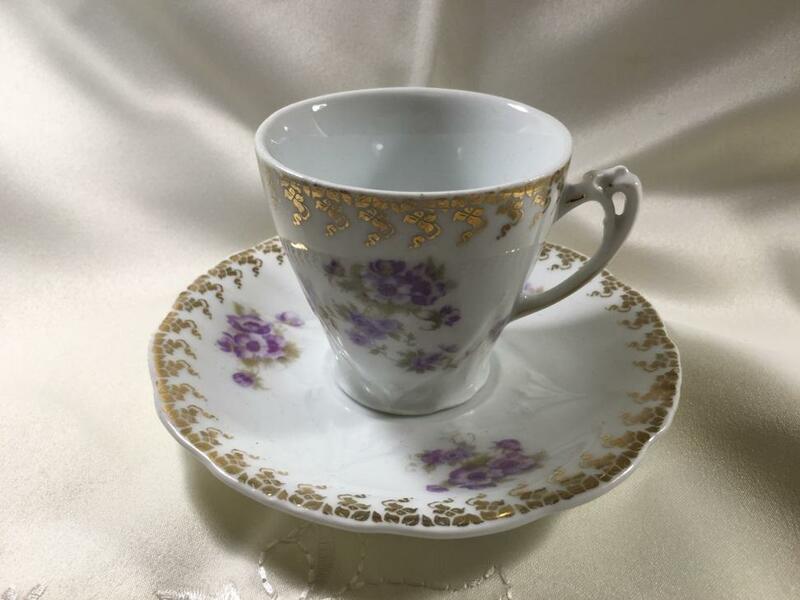 This cup is decorated with an unusual and graceful metal (probably silver) lattice, and is paired with a like-painted Eglantine saucer. 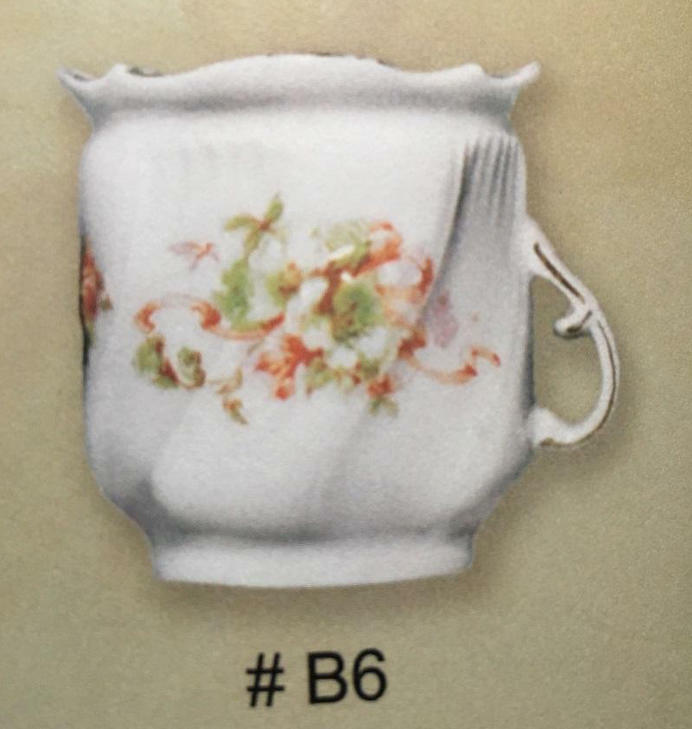 The B6 cup was thought to have an unusual "upside down" handle as shown in the first image. 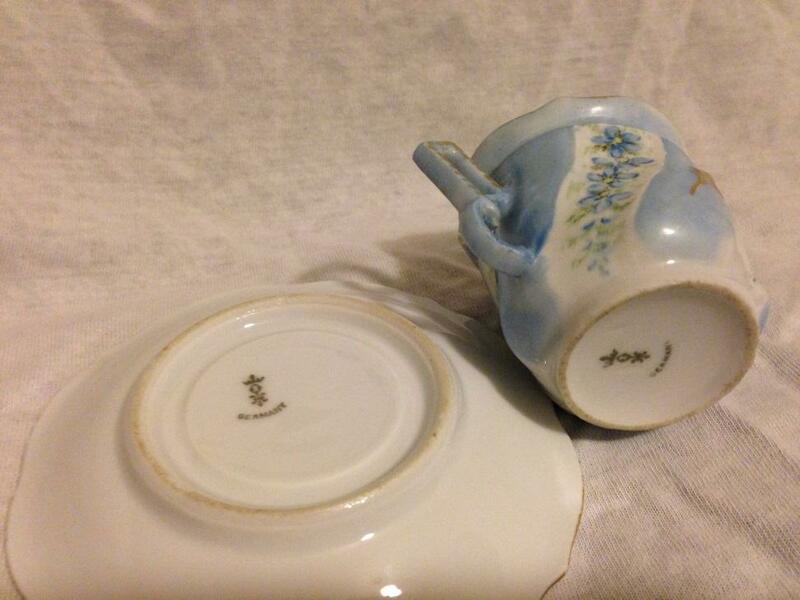 But as the next two examples show, the handle was broken! 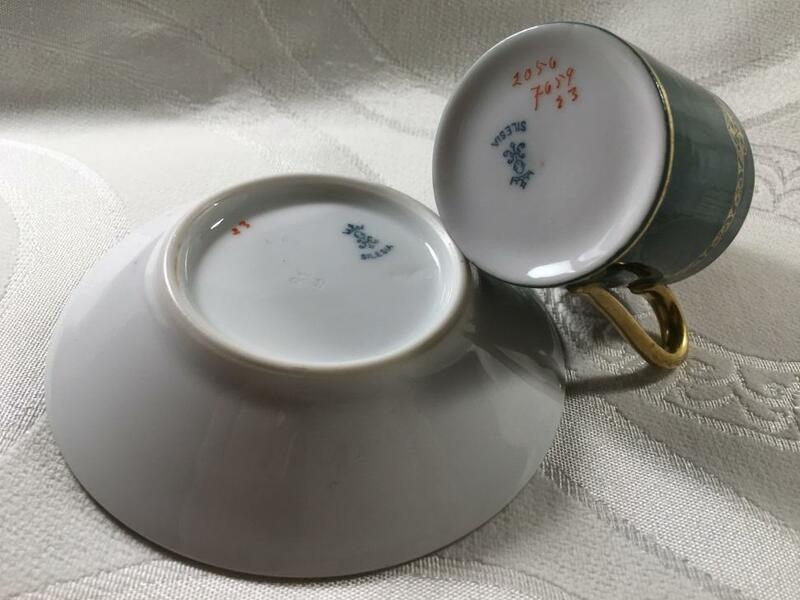 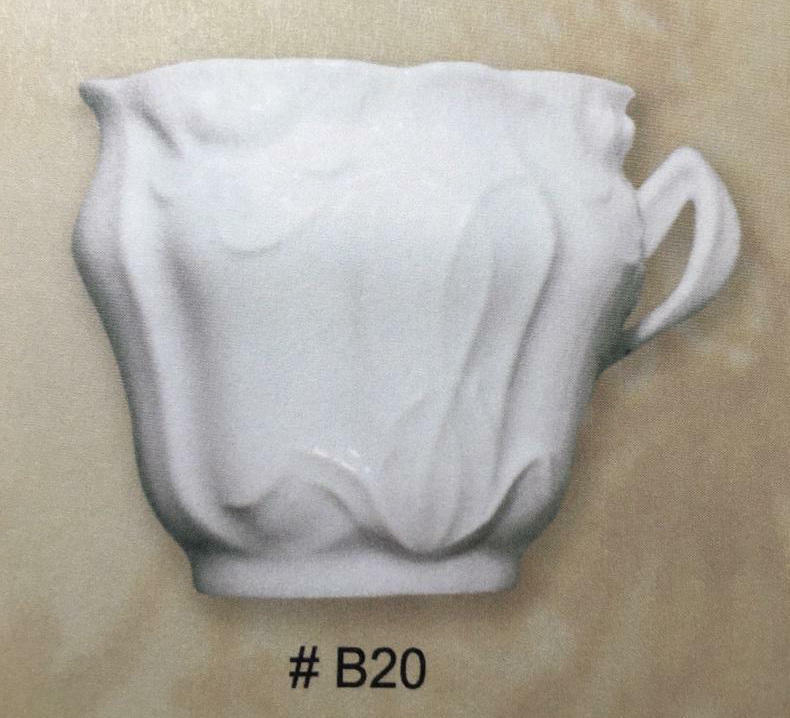 The B20 cup and saucer is ornately embossed. 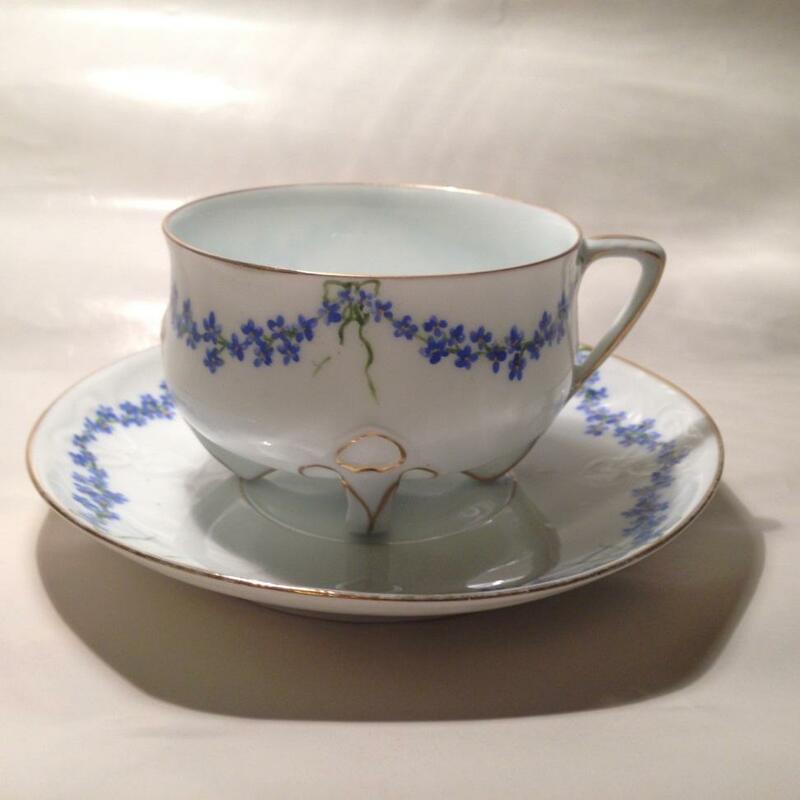 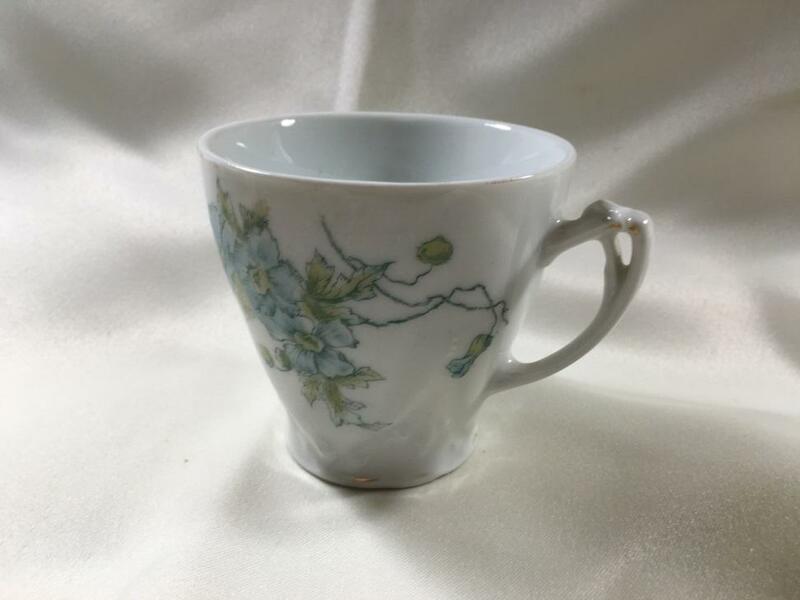 The painting on this cup and saucer emphasize the art nouveau botanical motif of the design. 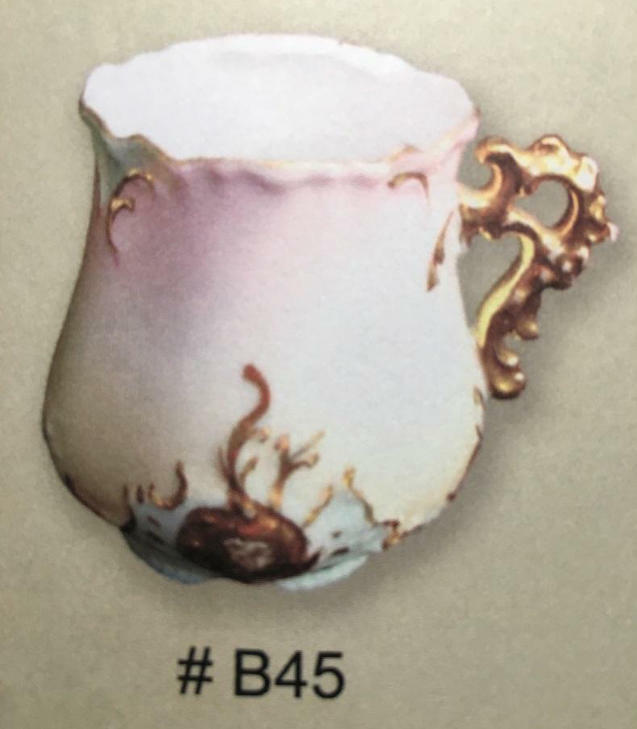 The B45 cup, with its unusual shape, heavy and ornate handle, and intriguing embossment, is a "what the..." cup. 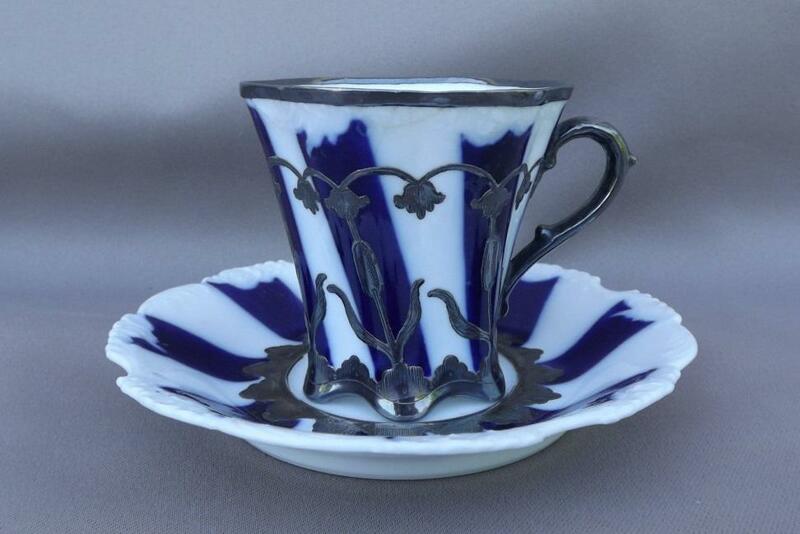 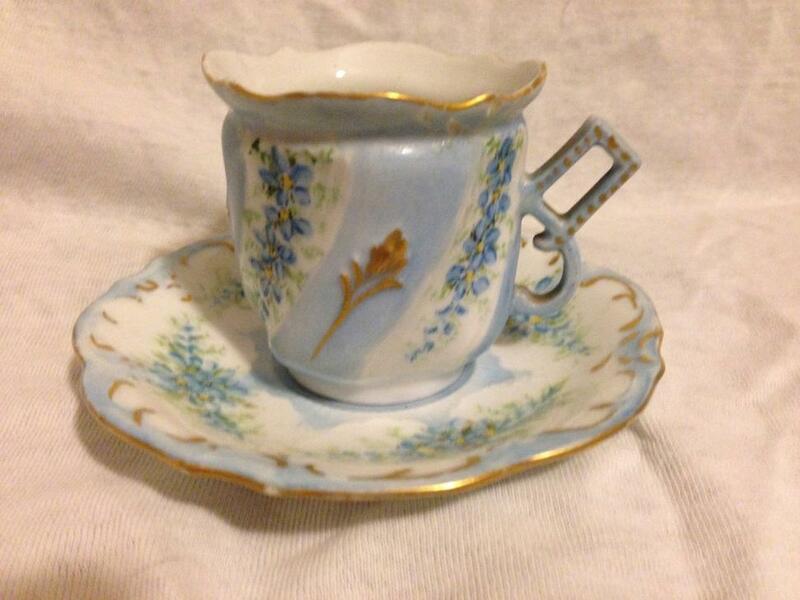 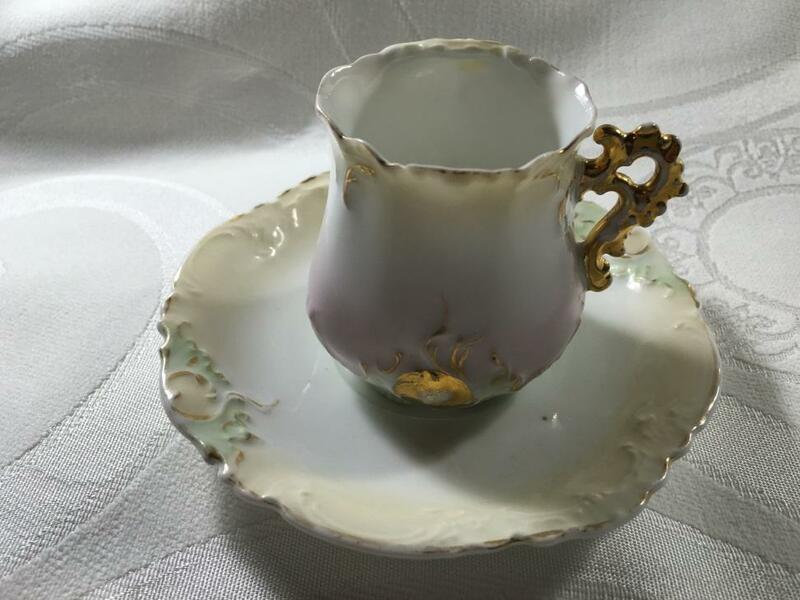 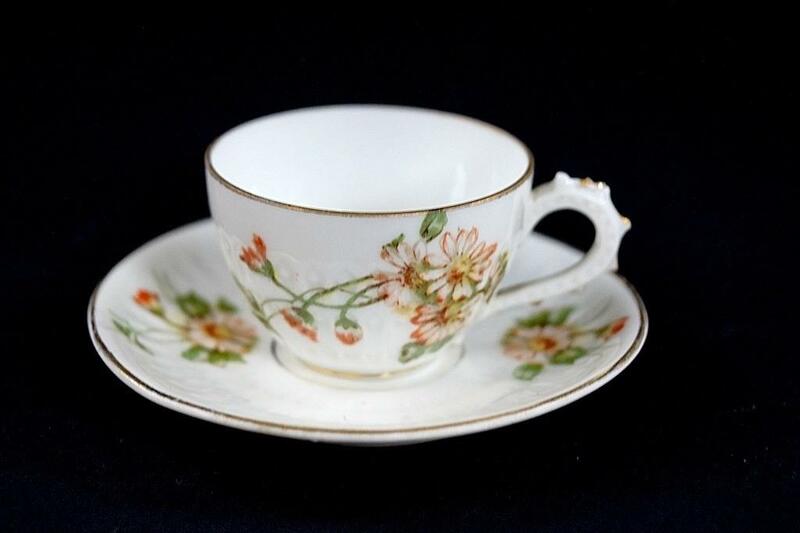 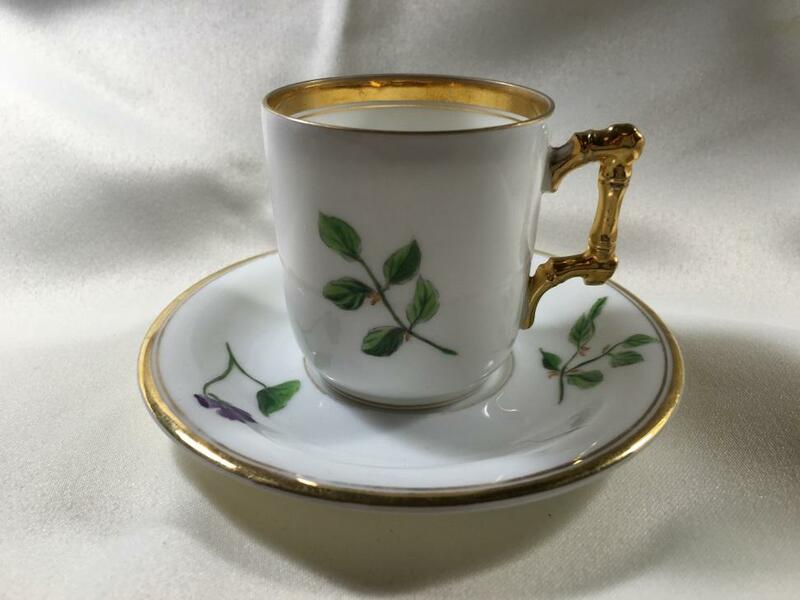 A beautiful demitasse cup and saucer. 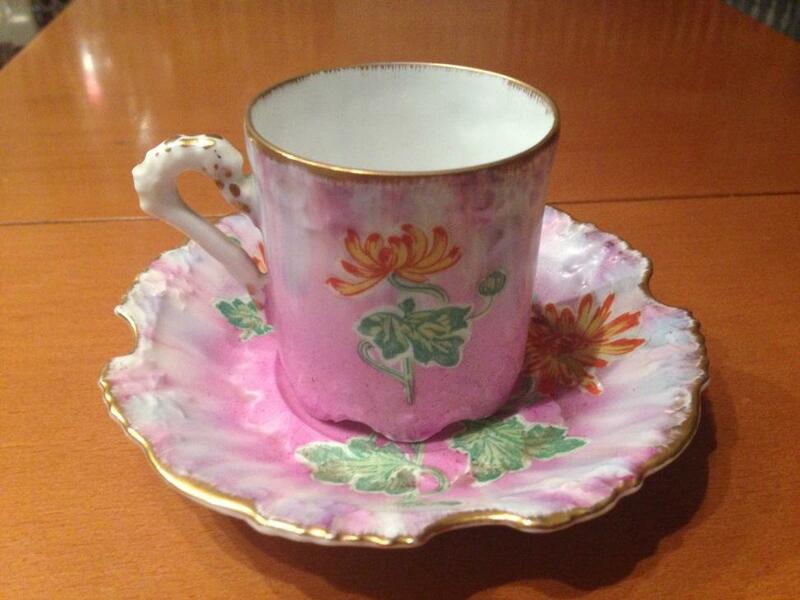 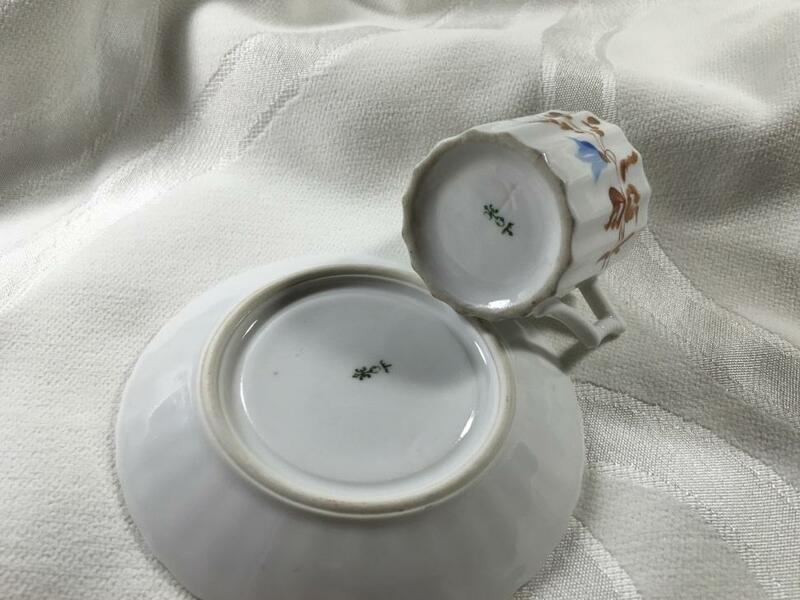 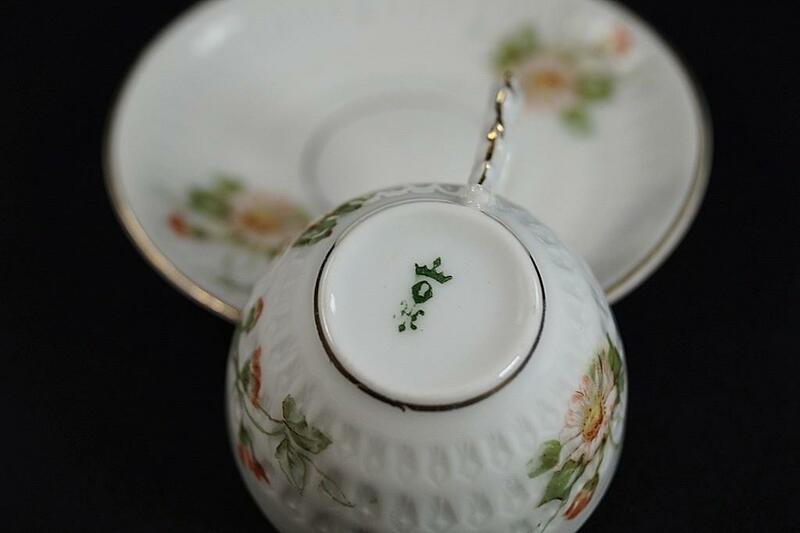 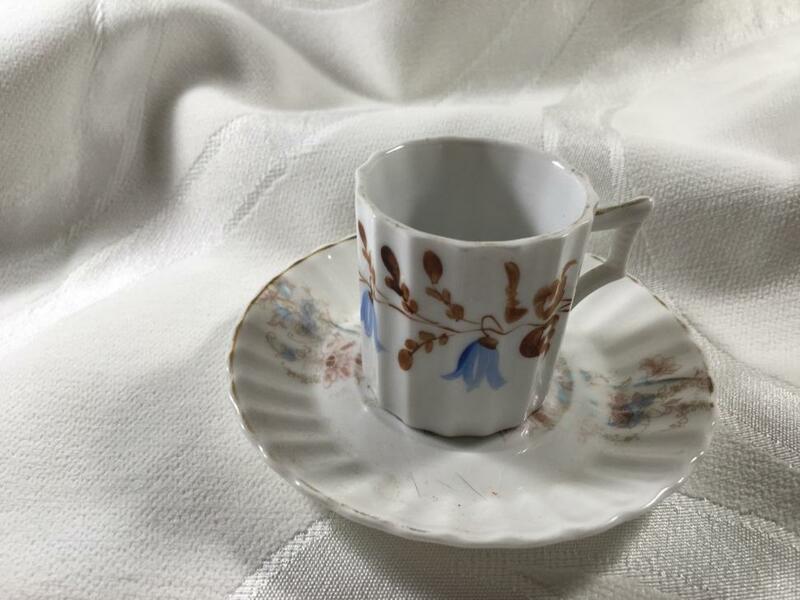 This cup and saucer is painted in what Ohme identifies as the "Printemps II" pattern.